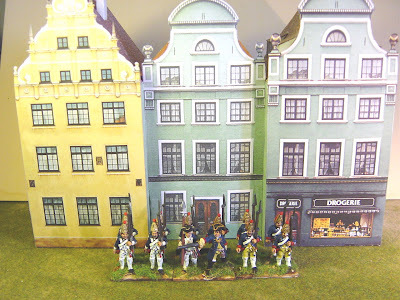 Hessian converged grenadier battalion Stirn consisting of the elites from Wutginau Infantry (on the right with red cuffs) and Mansbach Infantry (on the left with white facings). The backdrop is a row of three shops and houses. 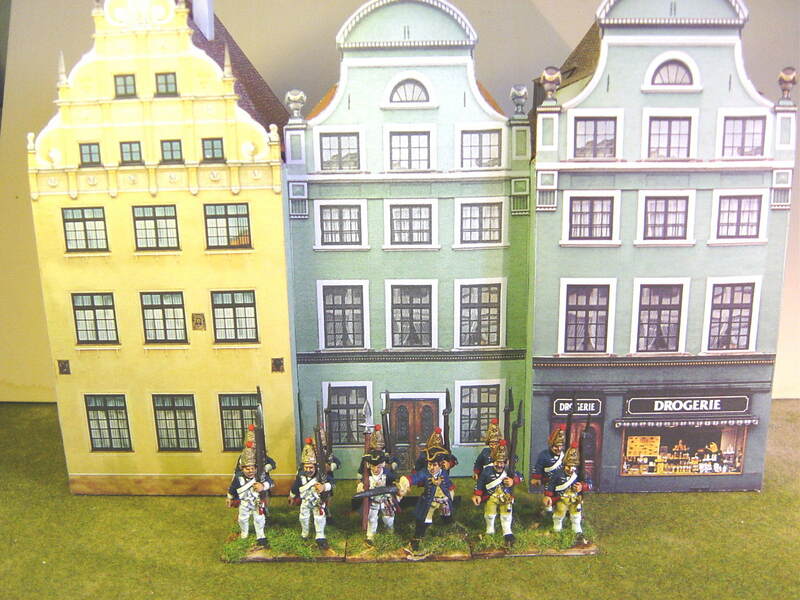 By the weekend I'll post the Hanoverian converged grenadier battalion I'm currently working on and perhaps more buildings. Nice work, Nigel. Those old Copplestone SYW figures are so much nicer than Foundry's more recent efforts. 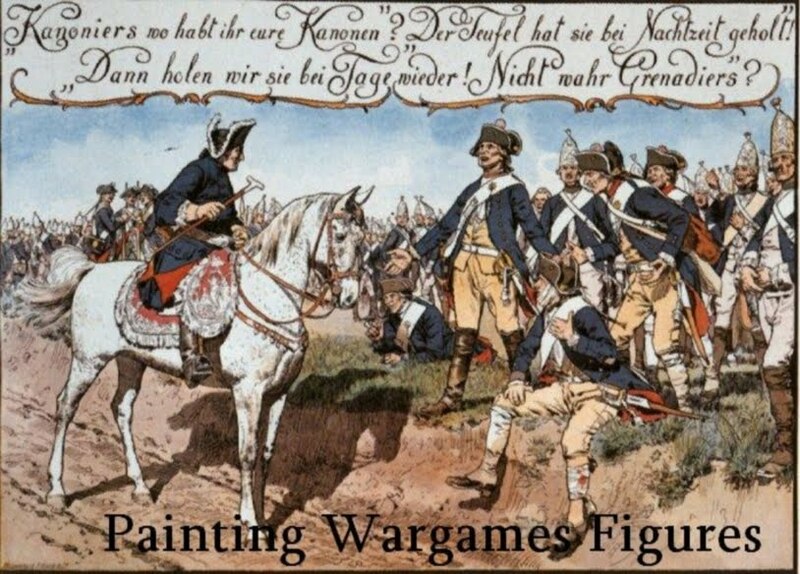 I think he did the Prussians' faces very well - they all look so mean and aggressive, and you've certainly done them justice.